Though I was aware of the existence of Make Works for a little while, it wasn't until I read an interview over on Sync with founder Fi Scott that I realised just how cool a project it is. Aiming to help designers and artists make work, Make Works will be a directory of manufacturers all over Scotland, connecting creative people with materials, processes and prototyping opportunities so they can produce their ideas right here in Scotland. The Make Works team (Scott, fellow designer Vana Coleman and friends from the Edinburgh Film Company) are currently planning a summer-long road trip. Taking a VW van equipped with all the writing and recording tools they need - plus surfboards - they will travel all over Scotland visiting manufacturing facilities of all types and sizes, gathering information on each. Through interviews, blog posts and videos Make Works will ultimately gather an online directory of places and ways to make in Scotland, giving manufacturers an online presence and giving creative types the gift of clear, useful and usable information about how and where to make their work. Make Works will address a couple of needs that Scott has identified. 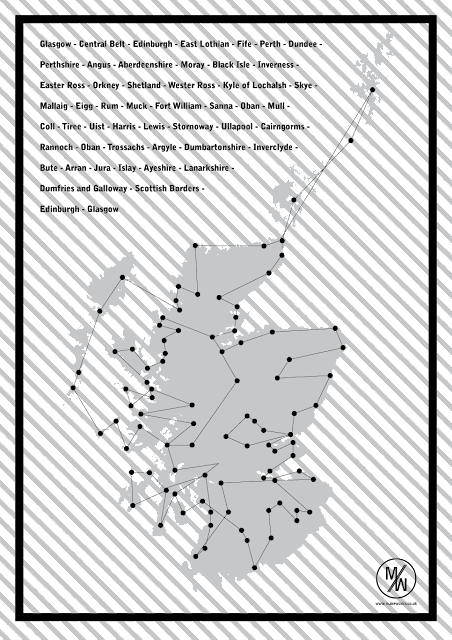 Firstly, though you'll find websites for a number of Scottish manufacturers online, so far there's nothing definitive online that will connect you to a whole range of producers and workshops. And often those that do have an online presence present overly tech-y and sometimes offputting information, giving the impression that you can only work with a manufacturer if you're looking to produce something in large quantities - in fact, Scott has found that there are plenty of places keen to try out new ideas, work in smaller quantities or help with prototyping, and Make Works will communicate that. A better understanding of materials and processes can only help the design process, and anything that encourages production within Scotland rather than sending designs to far-flung parts of the world is more sustainable and of more benefit to everyone here. Make Works has the potential to be a really positive addition to Scotland's creative landscape, it will be a quality resource for the creative industry and could provide a real boost to manufacturing here in the long term. Keep up to date with the plotting and planning - and the road trip itself - over on the Make Works website, while I Like Local will be checking in with their progress over the summer. 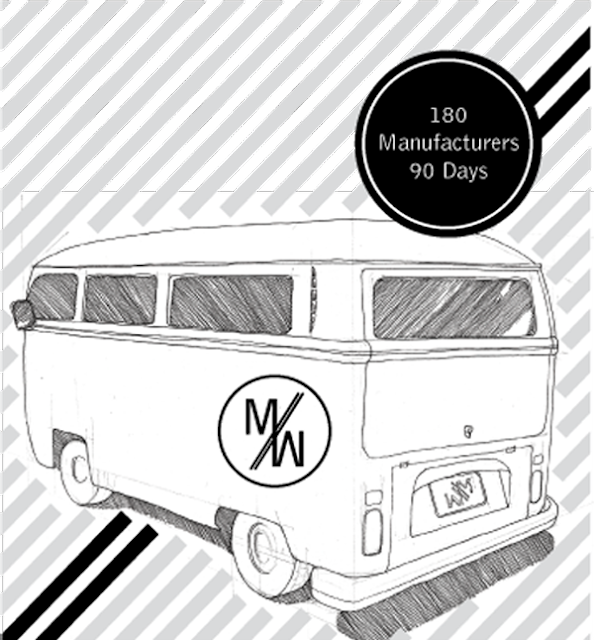 Their extensive expedition (180 manufacturers in 90 days) is bound to be interesting, and I can't wait to see the results! Psst, have you signed up for the I Like Local monthly digest yet? Subscribe and receive a monthly email featuring highlighted posts from the blog!